At Home with Chas: Giveaway! All you have to do is leave me a comment here. On Facebook. Or on Instagram! Each comment or share equals an entry! I will close the entries on Saturday evening at 8. And announce the winner Monday morning! 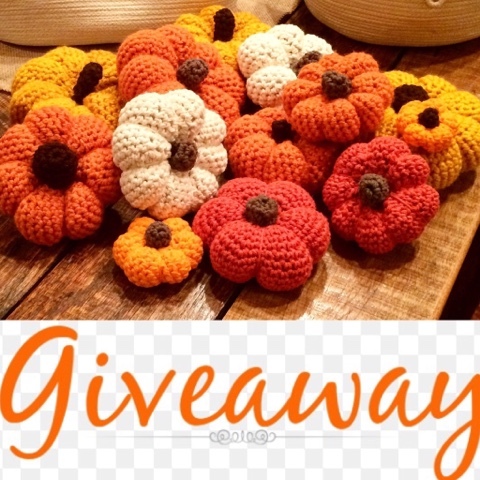 You mean, all I have to do is mention how adorable those punkins are, which I woulda done anyways, and now I might win some of my very own? How awesome, thanks for the chance! I love these and would be pleased to be entered into the hat for a chance to win a set of my own. thanks! So cute!! I love pumpkins!! Please enter me!! Pumpkin Ideas and The Winner!